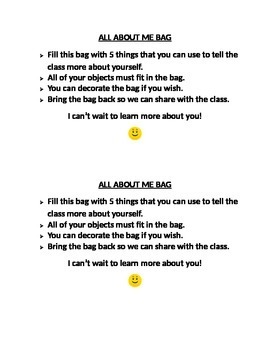 All about me bag: I use this as homework for the first week of school. Attach the note to a brown paper bag. Cute way to get to know eachother!